Use this website to quickly find the most important information about Las Vegas - McCarran International Airport: Flights (Departures, Arrivals), Parking, Car Rentals, Hotels near the airport and other information about Las Vegas Airport. 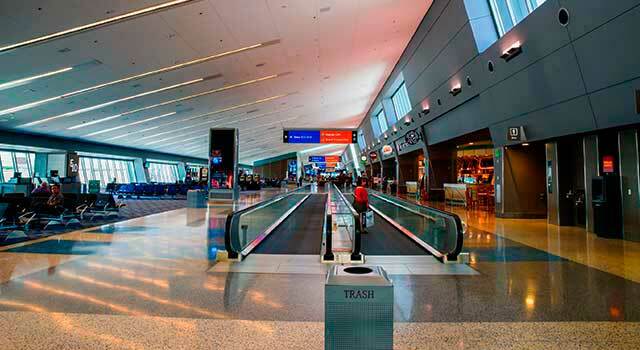 Plan your travel to McCarran Airport with the information provided in this site. Las Vegas Airport (IATA: LAS, ICAO: KLAS, FAA LID: LAS), officially known as McCarran International Airport, or simply McCarran, is the main commercial airport for Las Vegas, Nevada, United States. 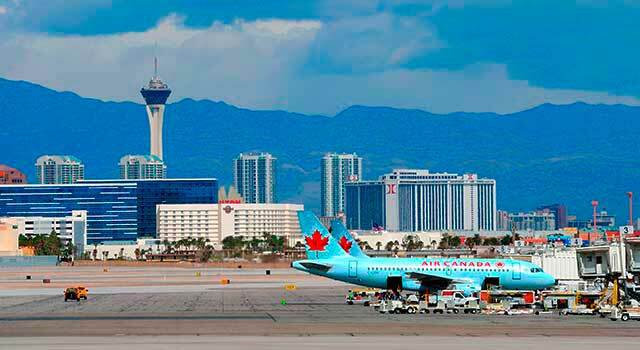 The airport is located 5 miles (8 km) south of downtown Las Vegas, in Clark County. The airport is named after the US Senator Pat McCarran. Las Vegas Airport (IATA: LAS) is the busiest airport in Nevada, US. The airport is located 5 miles south of Las Vegas downtown. Las Vegas McCarran Airport served 48 Million passengers in 2017. 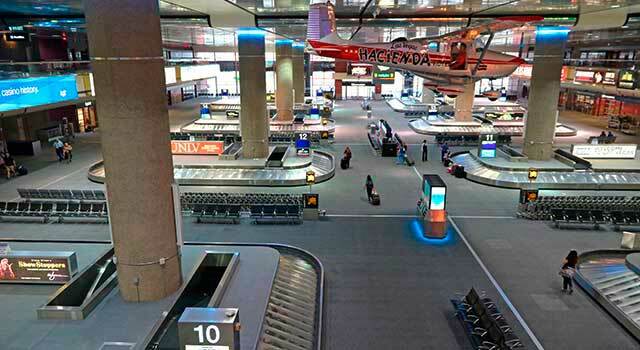 There are two operating terminals in Las Vegas Airport (Terminal 1 and Terminal 3). The new terminal 3 hosts all international flights and some domestic flights. Las Vegas Airport is a focus city for Frontier Airlines, Allegiant Air, Southwest Airlines and Spirit Airlines. It is the 27th busiest airport worldwide by passenger traffic and the 8th busiest by aircraft movements. The airport has nonstop flights to destinations in North America, Europe and Asia. It has four runways and operate with more than 30 airlines. In 2017 the airport handled 48,500,194 million passengers. - Terminal 1: Consists of four concourses, named the A, B, C, and D Gates. - Terminal 3: Of the terminal contains E Gates. A people mover system runs between the pre-security area of Terminal 1 and the C and D Gates, as well as between the D Gates and Terminal 3. East of the passenger terminals there is the Marnell Air Cargo Center, and on the west side of the airport there are the facilities for fixed-base operators and helicopter companies. - Bus: It runs from Terminal 1 and Terminal 3. BusTerminal 1: Route 108, 109 and Westcliff Airport Express (WAX) (Level 0). RTC Transit also provides service from various parts of Las Vegas Valley. - Shuttles: Several shuttles connect to/from hotels and resorts. 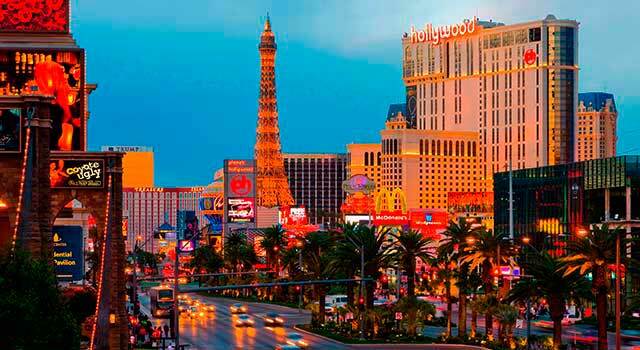 - Inter-City Shuttles: Different inter-city shuttles connect the airport with the surroundings of Las Vegas. 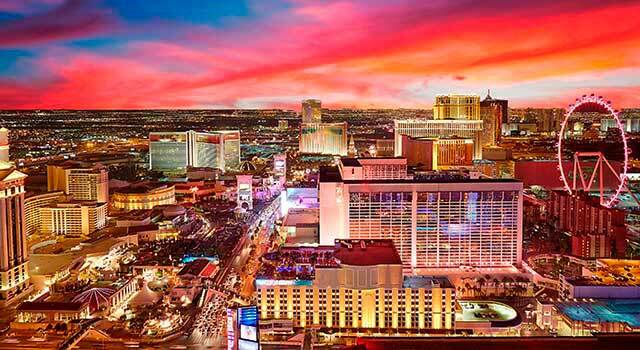 - Taxis: Get within 15 minutes to downtown Las Vegas. Different companies provide taxicab service. Open hours: 7.30 am to 6.00 pm PST Sunday-Friday, except major holidays.